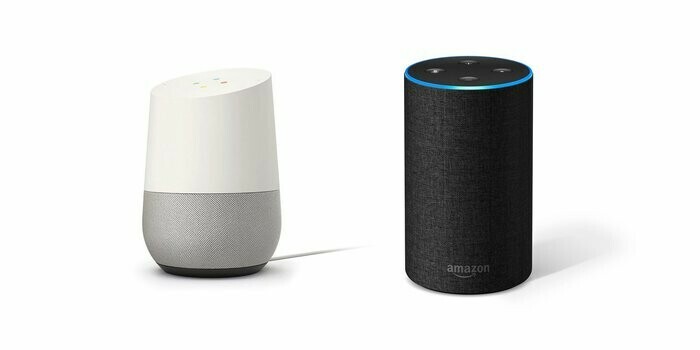 A new report released by Parks Associates has found that 36% of US households with broadband-level internet connections also owned at least 1 voice-controlled smart speaker in early 2019. This data suggests that these connected devices are becoming more popular, and that their use as automatic home controls may be getting more and more familiar. A recent Parks Associates report indicates that as many as 36% of the high-speed internet-enabled homes in the US contain at least 1 voice-controlled smart speaker at this point in 2019. These findings also indicate that these devices are often intended as 'smart home hubs', as envisioned by Google during its last major launch event. Parks also now believes that this growing trend of voice-controlled smart speaker ownership also helps additional companies and services to drive sales, so long as they can integrate with the speaker system (e.g. Amazon Alexa or Google Home) in question. The home security industry is catching on to this new reality; some companies such as Alarm.com and Vivint have developed compatibility with voice assistants already. The uptake of these smart speakers also suggest that the consumers in question are getting increasingly comfortable with (and demanding of) a connected or automated home experience. Nevertheless, these conveniences should also be balanced against other valid concerns such as user privacy.